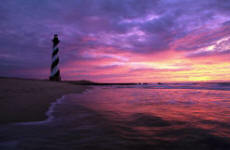 North Carolina has a rich history of supernatural haunting and things that go bump in the night. Rich legends and eerie tales range from the murky swamps of the coast to the high peaks of the Appalachian Mountains. What can give a resort/ghost lover the best of both worlds? 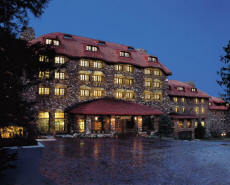 Asheville’s beautiful Grove Park Inn Resort. Firstly, the place is just visually stunning. Finished with a stone façade, it offers majestic views of both the Blue Ridge and the Smoky Mountain ranges. This four-star resort has several fine restaurants, shops, and a spa. 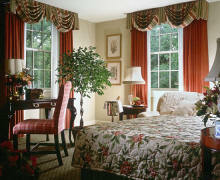 The historic Grove Park Inn has even been listed in Fodor's Top Ten Luxury Resort Spa in 2006. But enough of the resort-talk, right? You want to hear about the ghosts. Yes, it even has one of those! The Grove Park Inn also hosts a mysterious ghost dressed in a pink dress. She has been spooking the resort’s guests and staff for more than three quarters of a century. Legend has it that around 1920, a young woman dressed in pink fell to her death in the hotel's Palm Court Atrium. Separate accounts of unexplained severe cold chills experienced in Room 545 and an apparition of "a real dense smoke - a pinkish pastel that just flows... - a real gentle spirit, whatever it is." “The Inn's guests have also had encounters wit the Pink Lady. 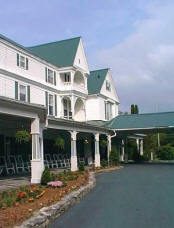 In September of 2001, guest Mike Mooney read about the Pink Lady before traveling to the Grove Park Inn. At about 11:00 on the night of his arrival, Mooney went through the atrium to get a soda from the vending machine. No one else was in the atrium. Mooney describes the experience. "The room felt heavy when I walked in but I didn't think anything of it. However, when I returned with the soda and passed the old bench chair, the hair on the left side of my body just stood on end and bristled. I also felt something tugging at my left ear as I passed the chair. I paused for a second but as soon as I went passed it, the hair went down and I ran like hell back to the room!" Located in northwest North Carolina, Blowing Rock is a stone’s throw from the Blue Ridge Mountains. It is a resort town full of quaint shops, restaurants, outdoor recreation….and a hotel named Green Park Inn - reportedly home to ghosts. They certainly do not hide this information because for fun the Green Park Inn stages Murder Mystery Weekends as well as an annual Charity Haunted Hotel function. So what goes on there? A room on the 3rd floor of the Hotel is reported to be haunted by a woman who died there years ago. She has also been reported seen walking on the 3rd floor. I have walked on the 3rd floor and just get shivers up my back. You can feel something in the air. There have been reports of ghostly activity on the 3rd floor. The ghost is believed to be a woman who had died there years ago. She has been seen in a room and on the floor in general. Someone reports a ghostly energy and shivers while walking on the 3rd floor. The ultra-fancy and elegant Carolina Inn in Chapel Hill combines the youth of being a university-owned hotel with old-time southern charm. Architecturally, it combines antebellum Southern plantation with Georgian and neoclassical features. It is so breath-taking to look and so pleasant to stay at, you would never want to leave. Apparently, Dr. William Jacocks felt the same way. Dr. William Jacocks had lived at the Carolina Inn for almost 20 years. He lived in Suite 252 from 1948 until his death in 1965. In life, Dr. Jacocks was known to be a friendly and kind man with a sense of humor. His joyful spirit seems to have stayed in his beloved room. Over the years, Jacock’s playful ghost enjoyed messing around with guests who stayed in his room by locking them out occasionally. One time, after several attempts to unlock the door, the room's door had to be removed from its hinges because it wouldn't budge. Though renovated with new electronic locks in 1990, there have still been reports of the door refusing to open. Everyone feels that Dr. Jacock’s shenanigans are not malevolent in nature, just good ‘ole practical jokes that his ghost gets a kick out of. There have also been other practical jokes reported. One ghost investigator reported that while he was using the sink one morning, as he tried turning the water off, both handles fell off the fixture into the sink leaving water spraying everywhere. Good one Dr. Jacocks. While in Room 252, another guest awoke to find his bathmat rumpled, his curtains pulled back in a strange fashion, and an overwhelming smell of flowers in the morning. Another couple that spent one night in 252 recently heard a loud whoosh of air during the night that emanated from nowhere near a ventilation duct. And one of the two felt his feet get very cold at one point during the evening. 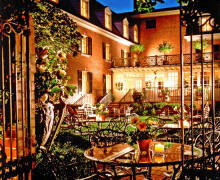 The Carolina Inn was recently voted one America’s Top 10 Haunted Hotels by about.com. 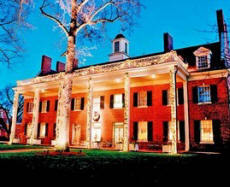 Thus the Carolina Inn invited paranormal researchers to take a look. They collected video and audio of ghostly happenings in the hotel, including an orb-like object floating in the air, faint sound of a piano, and a few softly spoken words. © Copyright 2014 AudieCom, Inc. - All rights reserved.